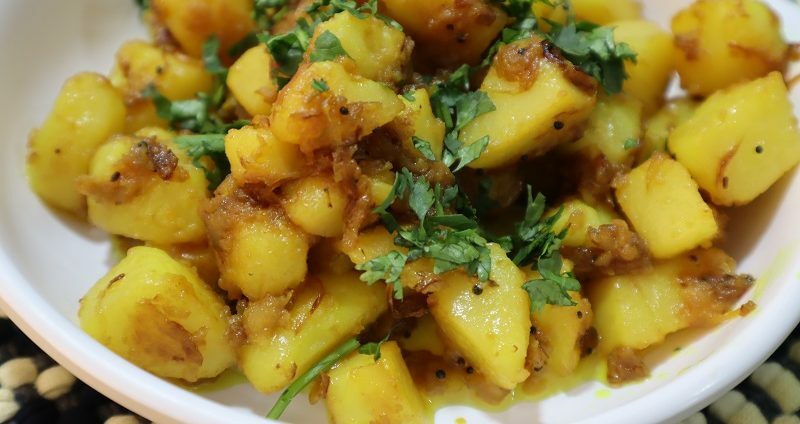 Memni (Memoni) style Aloo Sabji recipe is a tangy recipe that your family will surely love. 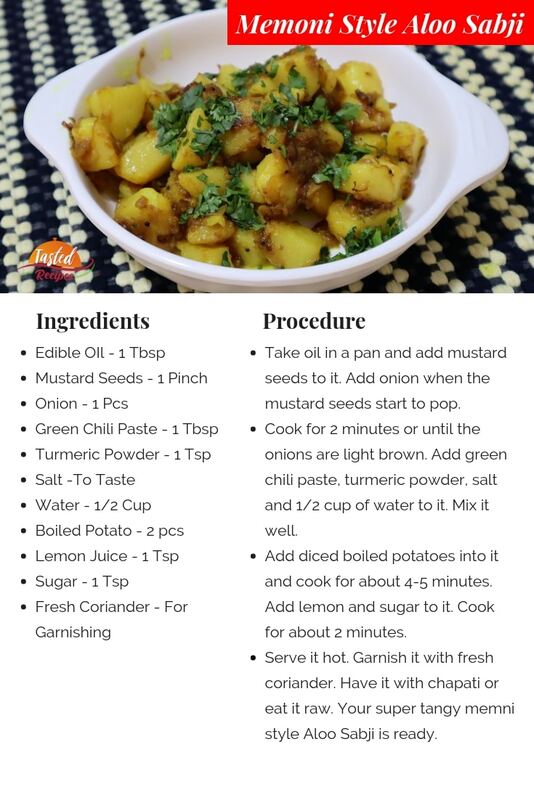 If you are looking to give a change to your regular aloo sabji then you must surely try this quick and easy recipe. 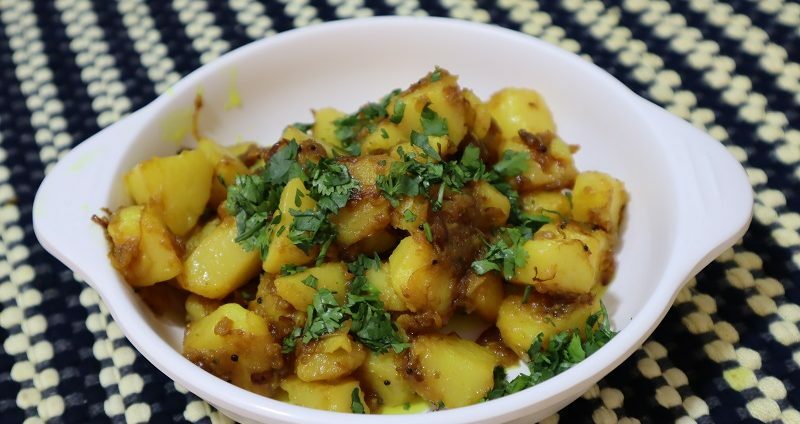 5 Minutes Aloo Sabji Recipe made in memni style. A simple twist that makes the sabji sweet and sour both at the same time. 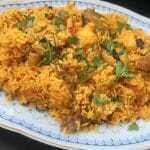 Made with simple ingredients like potato, turmeric powder, lemon juice, sugar, salt, and onions. Just heat oil in a pan and follow the simple step and its ready. 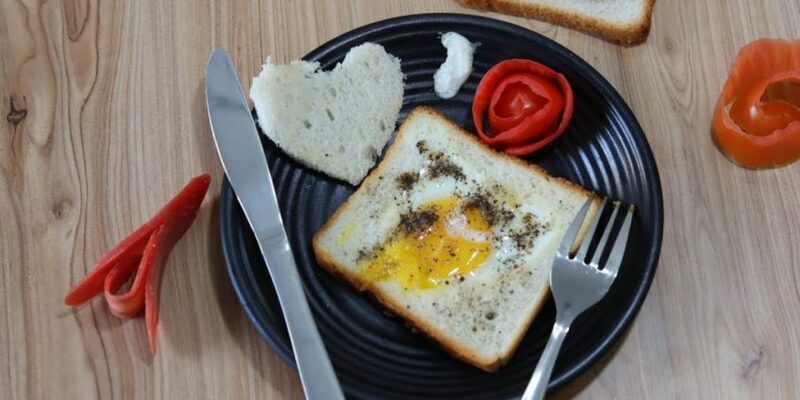 A super easy and perfect choice for men living away from home or students living in a hostel. 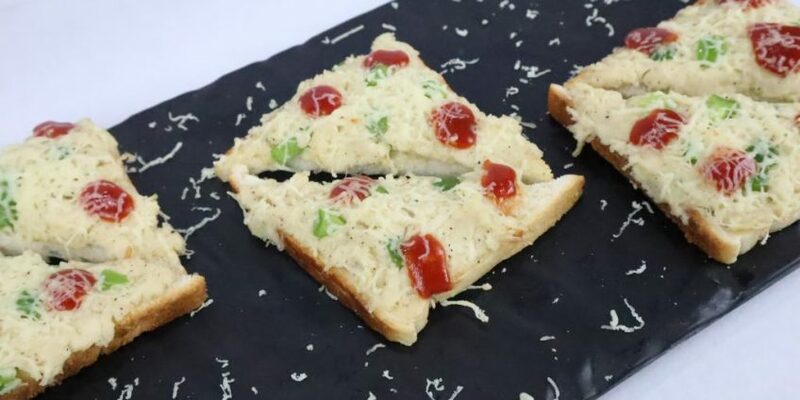 This recipe gives you the Gharwala feeling even away at home. Memons is a Muslim famous for their food all over the world. 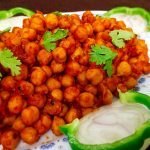 Foods like Memoni Akhni, Memoni Aloo and Memoni Cholay are amongst some of the famous foods of memons. Take oil in a pan and add mustard seeds to it. Add onion when the mustard seeds start to pop. Cook for 2 minutes or until the onions are light brown. Add green chili paste, turmeric powder, salt and 1/2 cup of water to it. Mix it well. Add diced boiled potatoes into it and cook for about 4-5 minutes. Add lemon and sugar to it. Cook for about 2 minutes. Serve it hot. 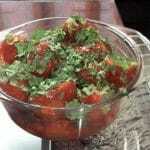 Garnish it with fresh coriander. Have it with chapati or eat it raw. 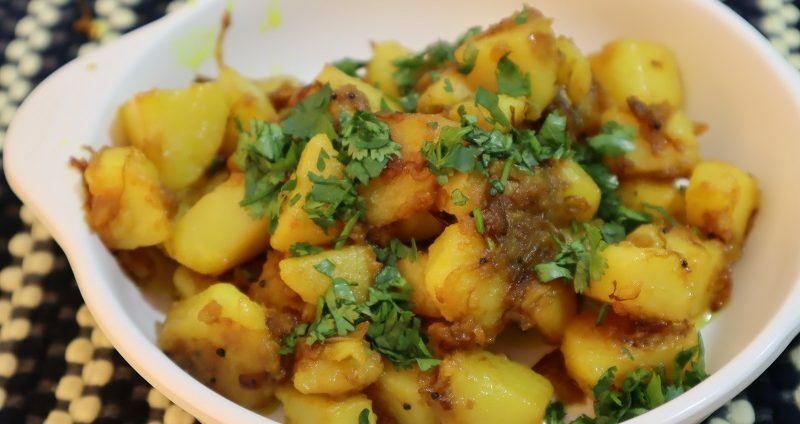 Your super tangy memni style Aloo Sabji is ready.